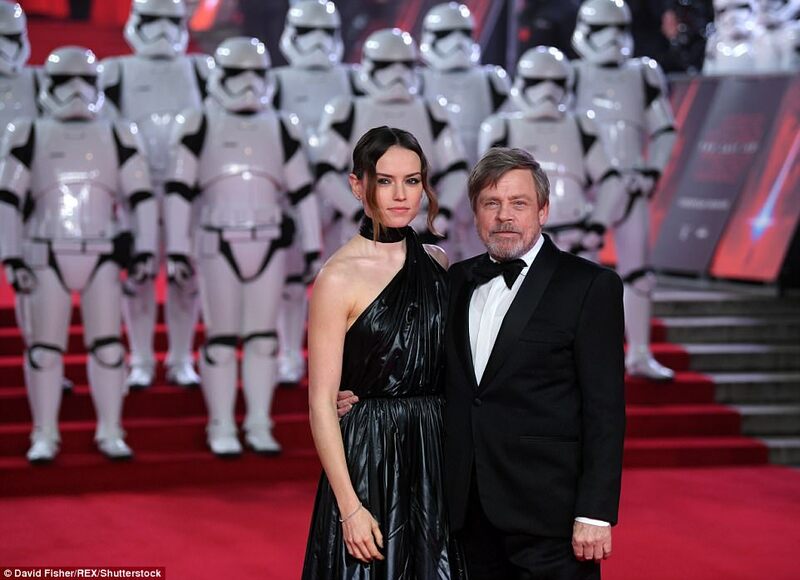 Mark Hamill, 66, who plays Jedi Luke Skywalker, looked dapper in a suit and bow tie as he took in the awe-inspiring moment with his leading lady. 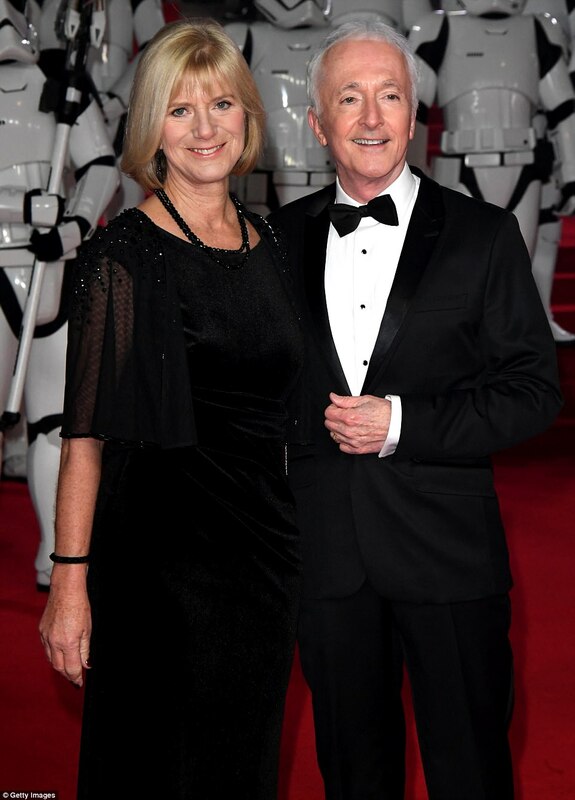 Mark was joined by his supportive wife of 39 years Marilou Yorke and their daughter Chelsea. 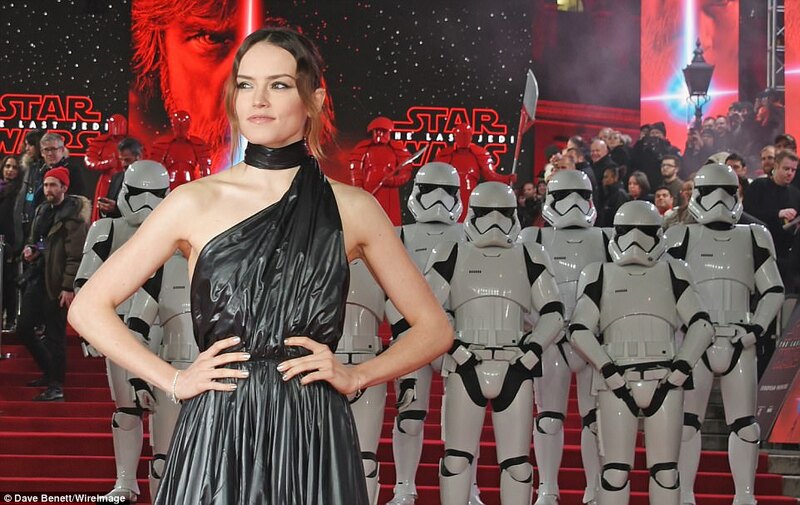 Daisy admitted being nervous filming ‘Star Wars: The Last Jedi’ as she didn’t have close pal John Boyega on set with her. 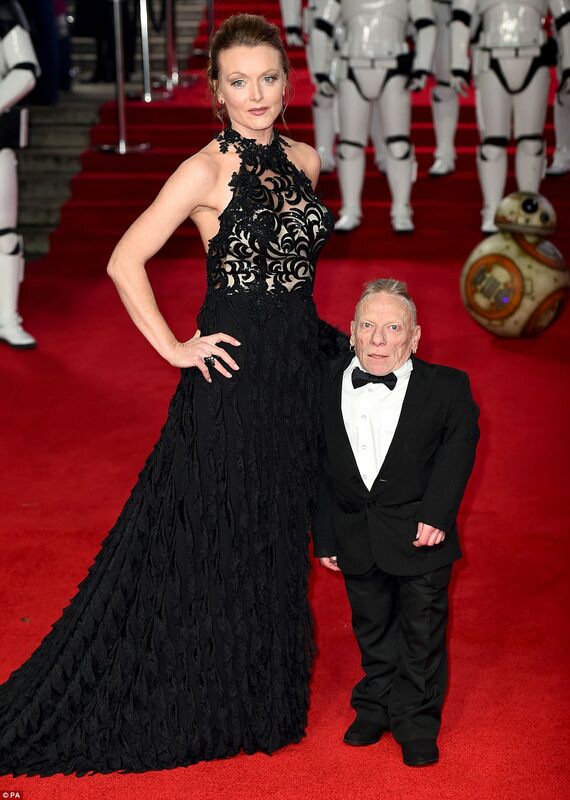 The actress formed a close bond with her co-star on the set of the seventh instalment of the movie franchise ‘The Force Awakens’ in 2015, as their characters Rey and Finn spent a lot of time together. 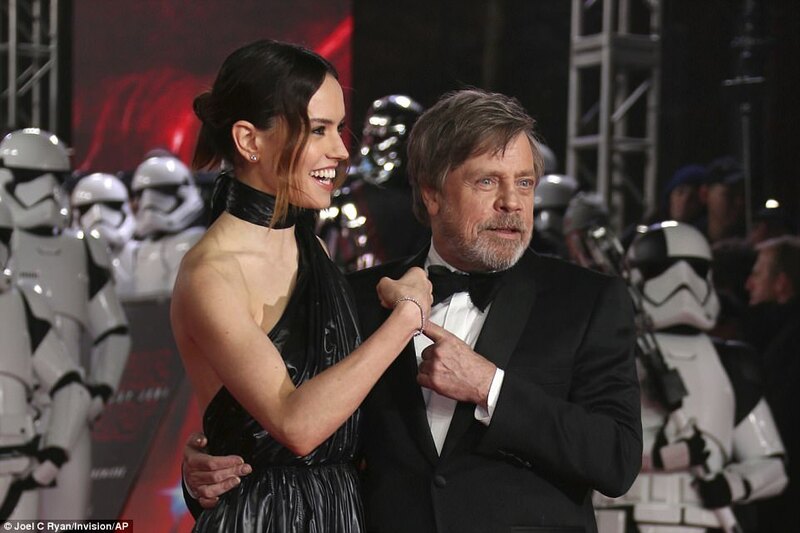 But after being separated at the end of the movie, the upcoming eighth venture sees the pair spend the movie apart, and Daisy has admitted she struggled learning to trust her new on-screen partner, franchise veteran Mark Hamill. Asked if she found it any easier the second time around, she said: 'I actually felt more nervous because I didn’t know what I was doing the first time around, and you kind of think, how am I supposed to do something again when I didn’t know what I did the first time? 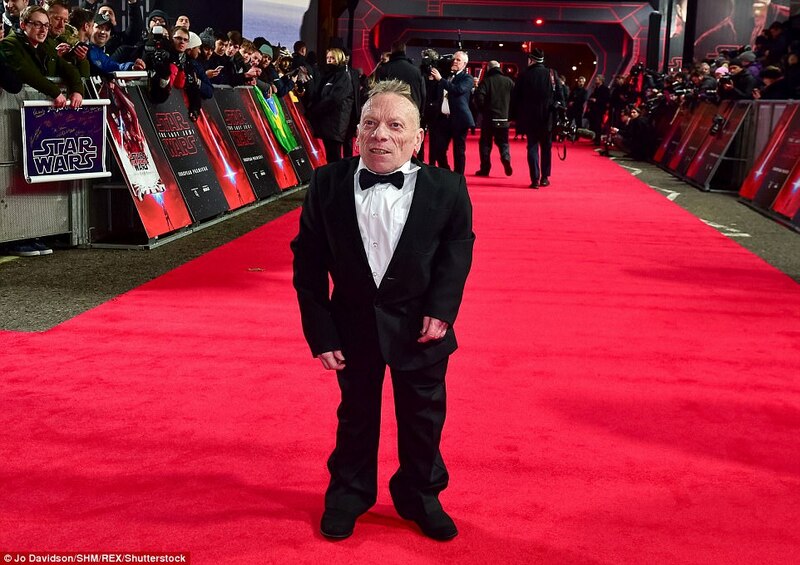 John, who plays Resistance Fighter Finn, looked over the moon as he roared on the red carpet clad in a black suit and bow tie. 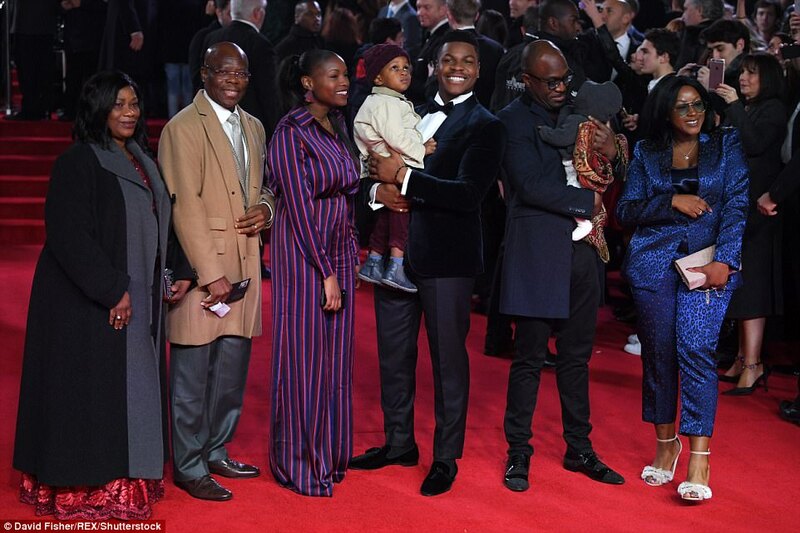 It was a family affair for the proud Boyega family with John bringing his parents Abigail and Samson and sisters Blessing and Grace, along with his nephews, to the premiere. 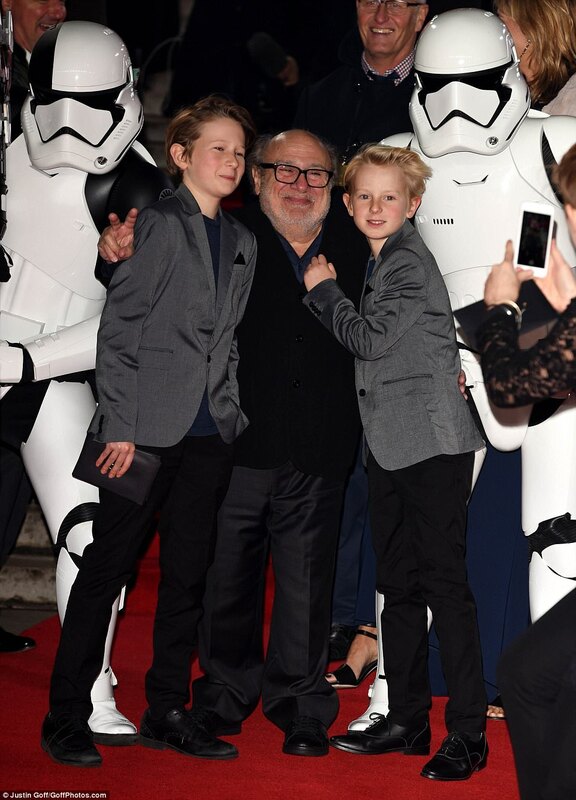 The Force was strong at the premiere with an army of deadly Stormtroopers opening the dazzling show. 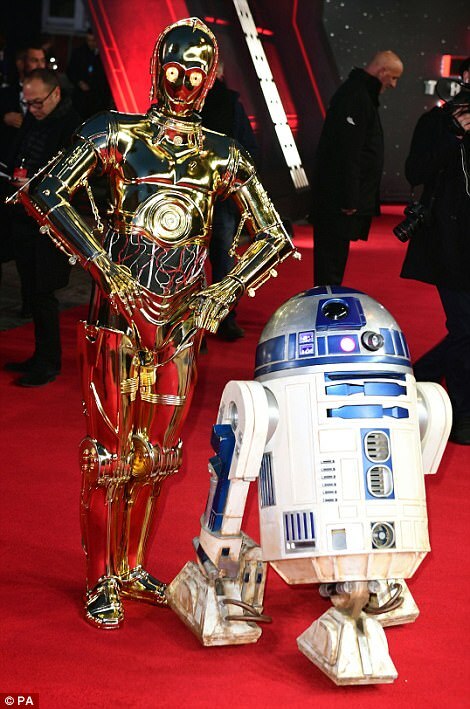 Fan favourites C-3PO and RD:D2 were also seen greeting fans on the red carpet along with Wookiee Chewbacca. 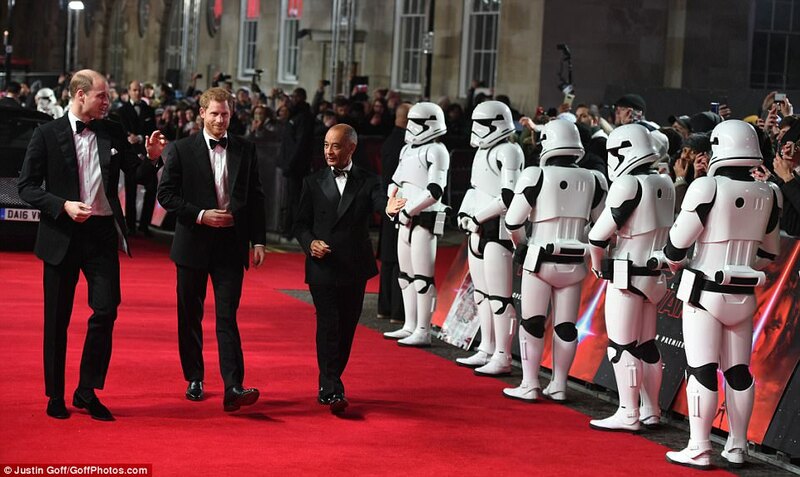 Princes William and Harry and Tom Hardy all make cameo appearances as Stormtroopers, with the royal brothers looking excited as they were greeted by droid BB-8 before they headed inside to watch their big screen debut. 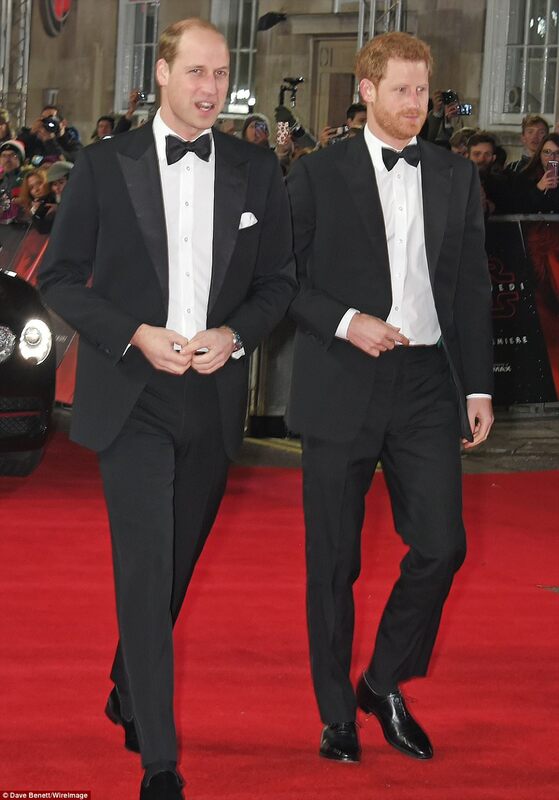 Their arrival came after the glittering world premiere at LA's Shrine Auditorium on Saturday. 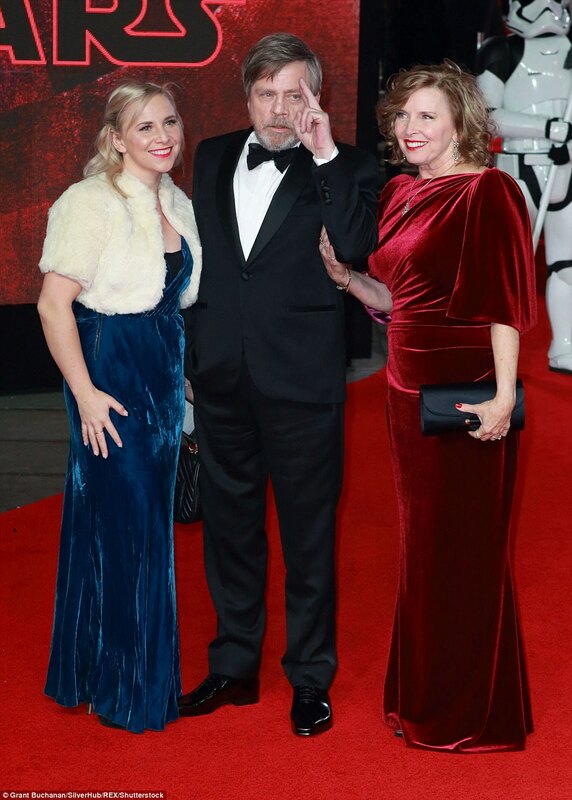 The film's director-writer Rian Johnson paid special tribute to late Princess Leia actress Carrie Fisher as he introduced the screening, saying: 'I want to dedicate tonight to Carrie, who is up there right now flipping me the bird, saying `Damn it Rian, don´t you dare make this night a solemn tribute. 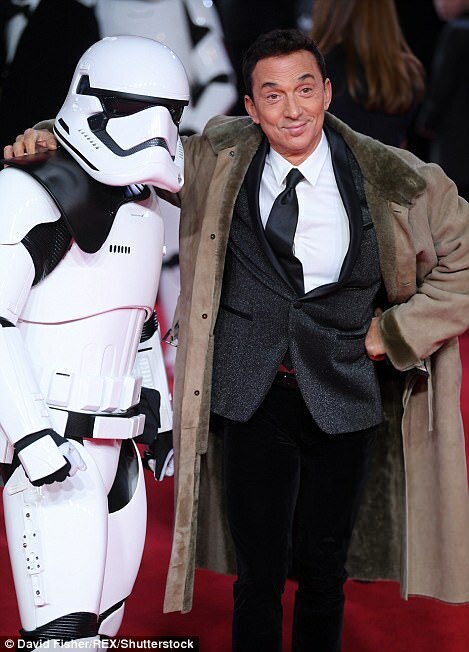 The film ends with a dedication to Fisher, who plays Princess Leia. 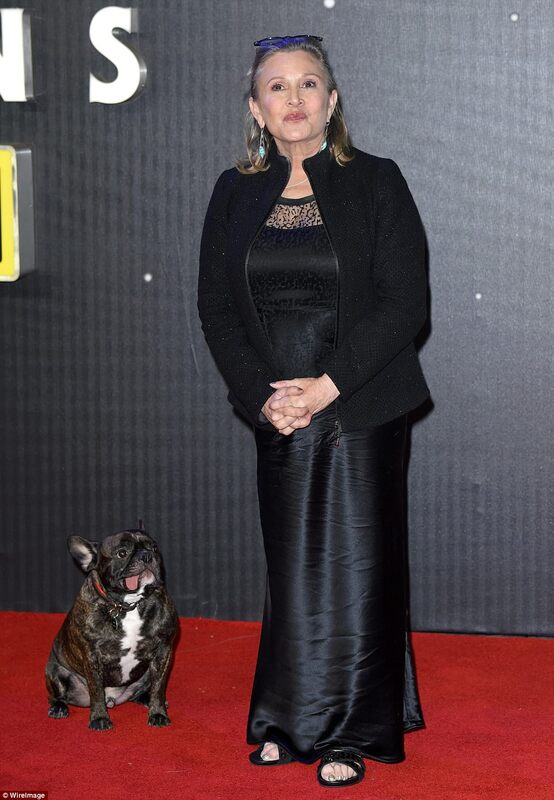 Carrie died at age 60 last December after completing her work on The Last Jedi. She shot to fame as the feisty and determined Princess Leia in the original three Star Wars film- A New Hope (1977), The Empire Strikes Back (1980) and Return of the Jedi (1983). 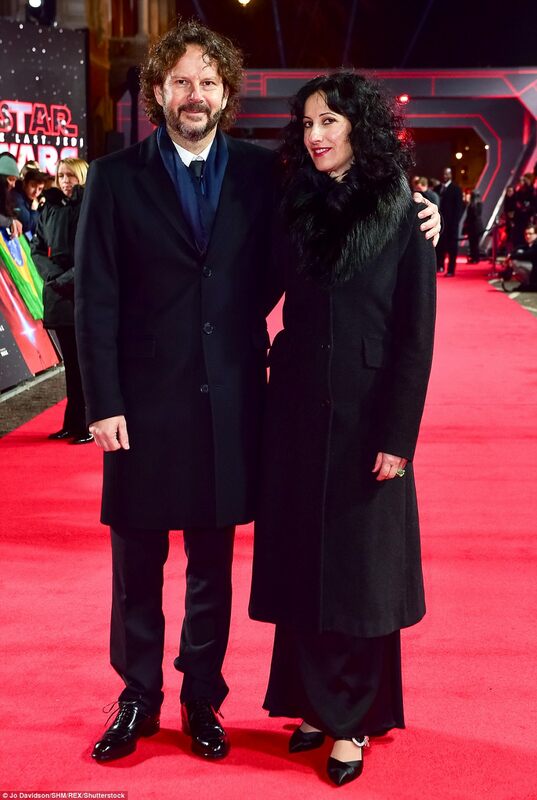 Andy Serkis believes Carrie has left 'an indelible mark' on the world in the wake of her passing. 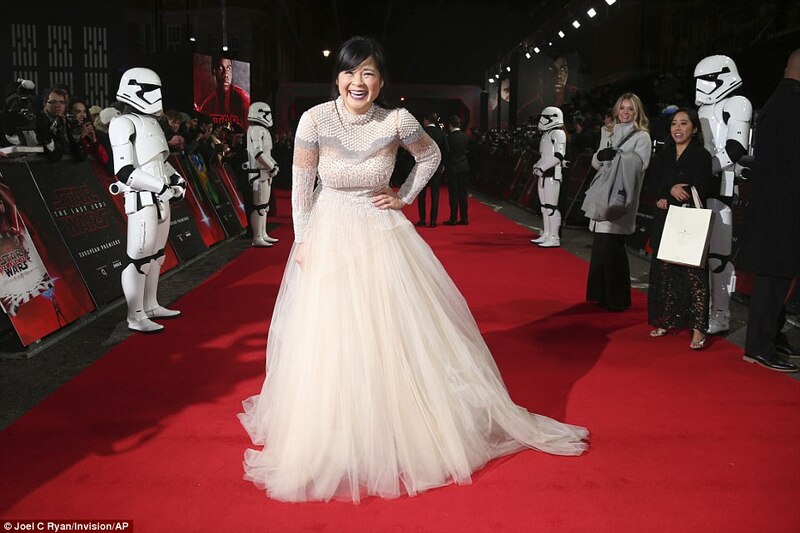 Andy, who stars as Supreme Leader Snoke in the upcoming movie, as well as in 2015’s ‘Star Wars: The Force Awakens’, dubbed the late star as an 'incredible soul', and insisted her memory will be 'honoured' in the sci-fi flick. 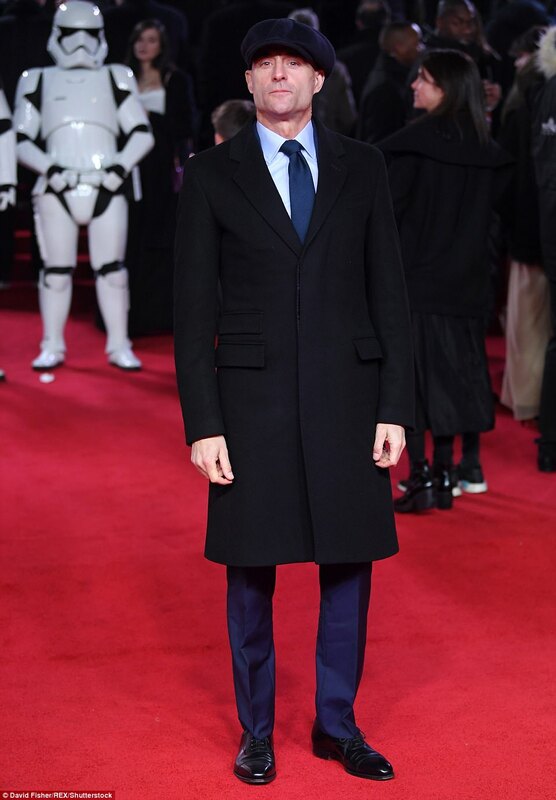 Fellow ‘Star Wars’ star Domhnall Gleeson - who plays General Hux - also shared his fondness for the late actress, whom he says he 'cherished' his time with. 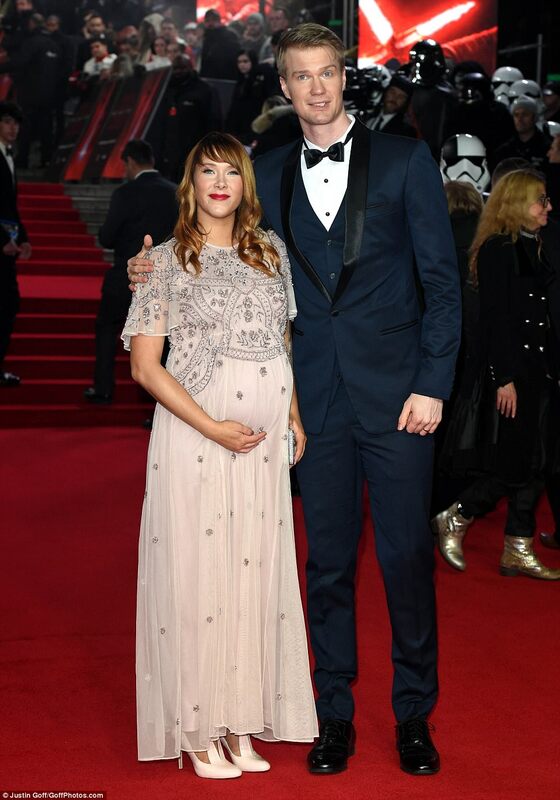 Andy and Domhnall aren’t the only stars who have recently felt the hole left by Carrie since her passing, as her close friend and co-star Mark Hamill - who stars as the iconic Luke Skywalker - admitted it has “not been easy” dealing with her death. 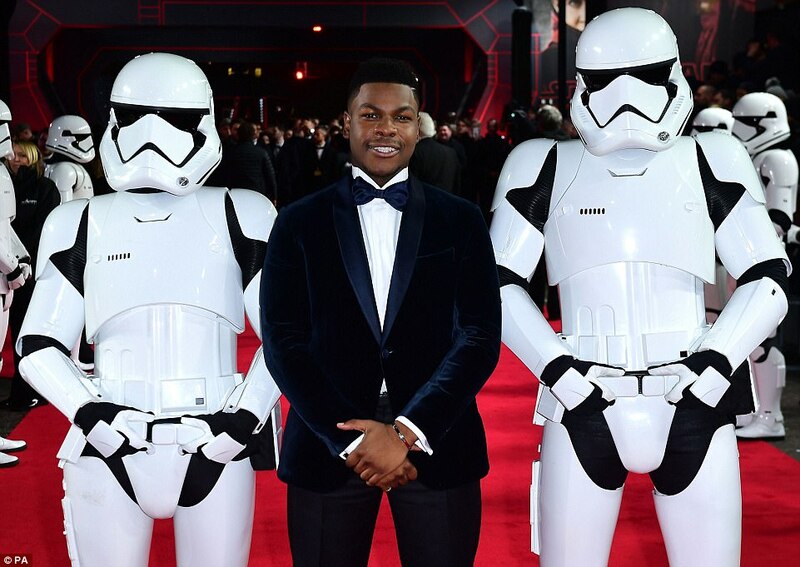 John Boyega, who plays Finn, also spoke about the star, when he joked that he failed his diet because Carrie had told him to "take some chocolate bars" from her stash in the fridge. 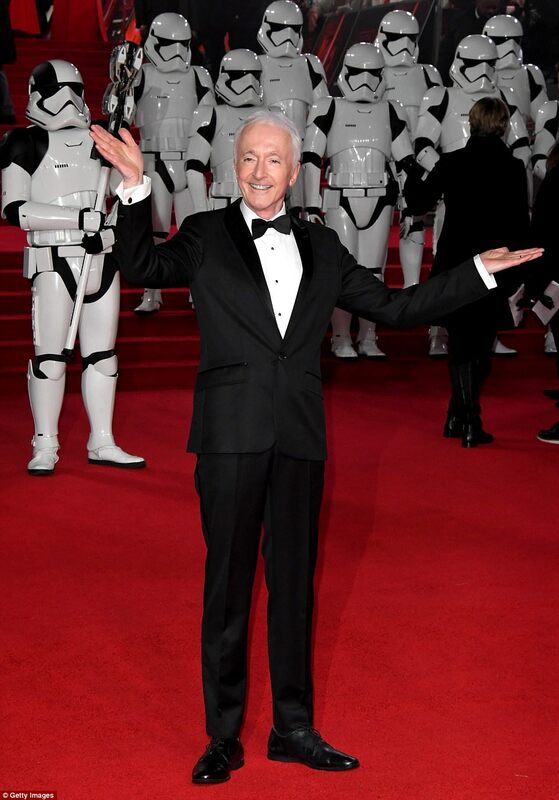 The Last Jedi, which is out on December 15, picks up with the Resistance fighting Supreme Leader Snoke´s First Order which is trying to take over the galaxy. 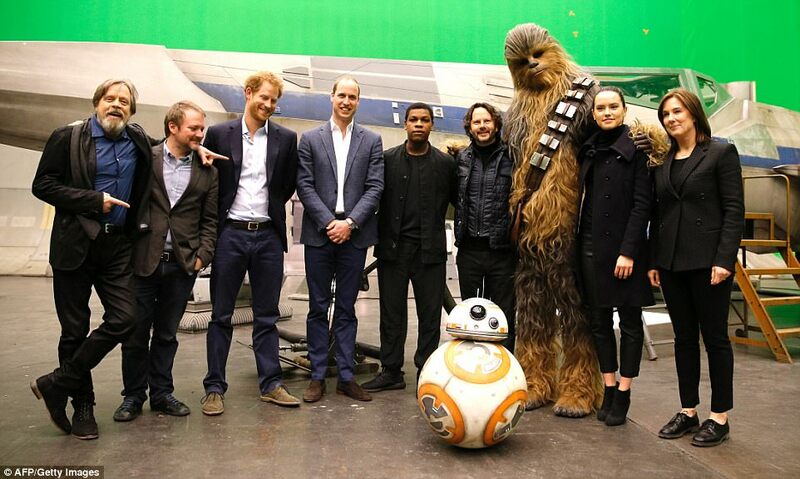 The film's release comes two years after The Force Awakens. Rey (Daisy Ridley) tries to convince Luke Skywalker (Mark Hamill) to join the Resistance and bring hope to the rebels against Snoke's villainous rule. 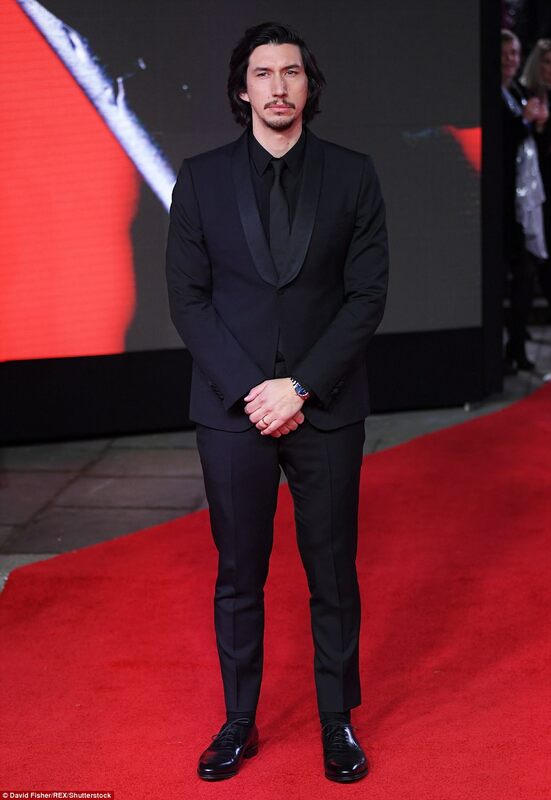 The star-studded ensemble cast, including Ridley, John Boyega, Lupita Nyong'o, Adam Driver, Andy Serkis and Hamill. Disney has a strict embargo on full reviews until Tuesday, but early spoiler-free Twitter reaction has been universally positive. 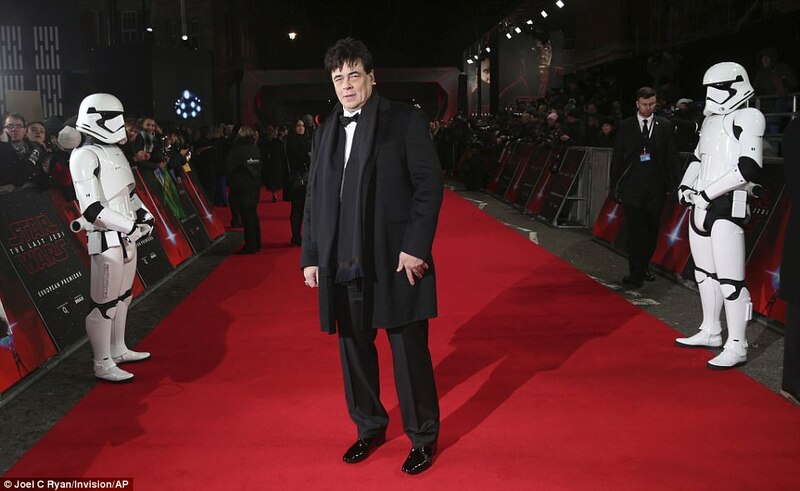 SlashFilm's Peter Sciretta tweeted: 'Star Wars: The Last Jedi is so very different, exciting, surprising. So many emotions, so many amazing moments. Stay away from spoilers. 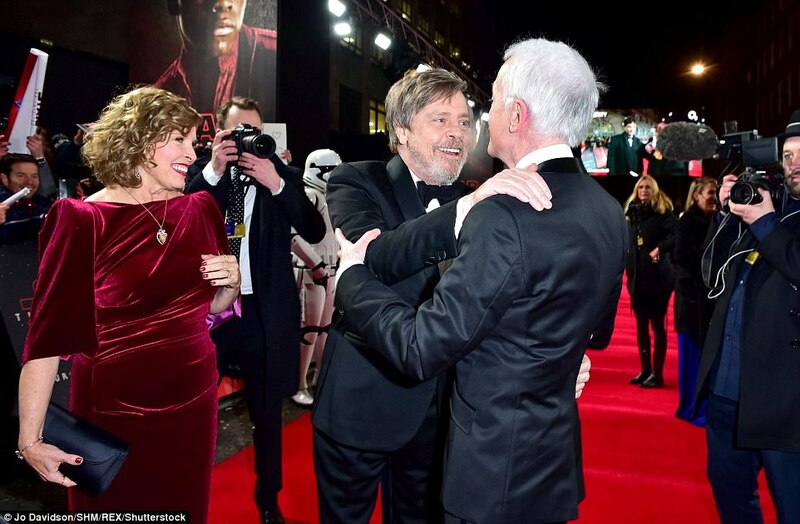 Battle: Rey (Daisy Ridley) tries to convince Luke Skywalker (Mark Hamill, above) to join the Resistance and bring hope to the rebels against Snoke's villainous rule. 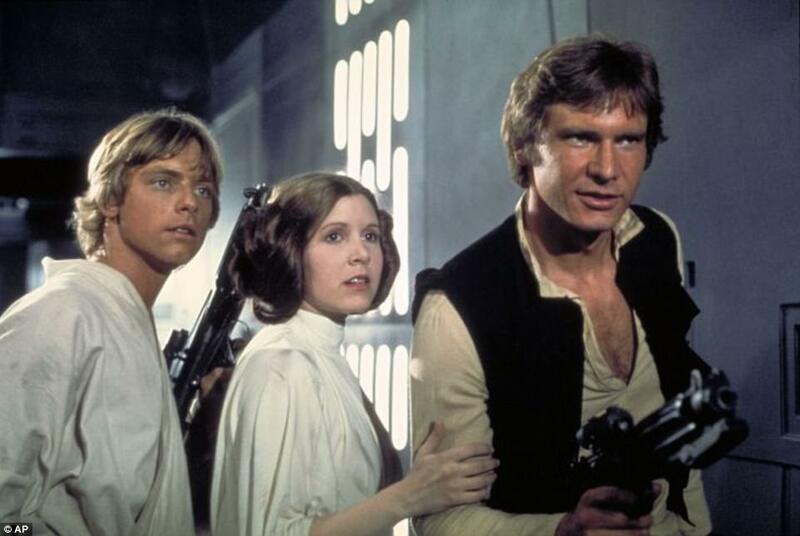 The original trilogy's plot focused on the Rebel Alliance, led by Leia and its battle to destroy the Galactic Empire's space station, the infamous Death Star, manned by supervillain Darth Vader. 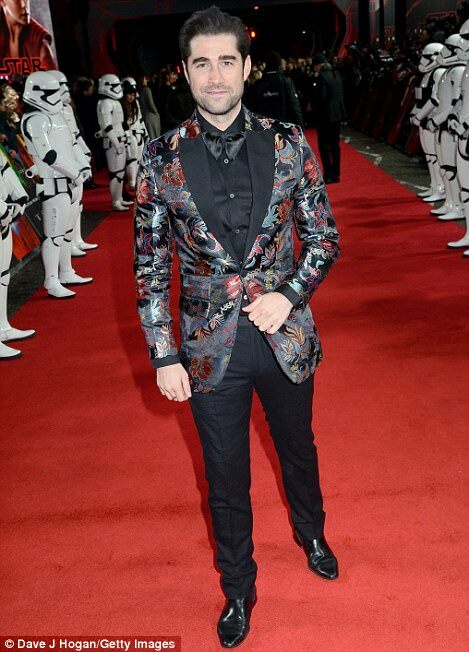 Luke Skywalker, then a simple farm boy, acquires droids that possess stolen blueprints for the Death star. 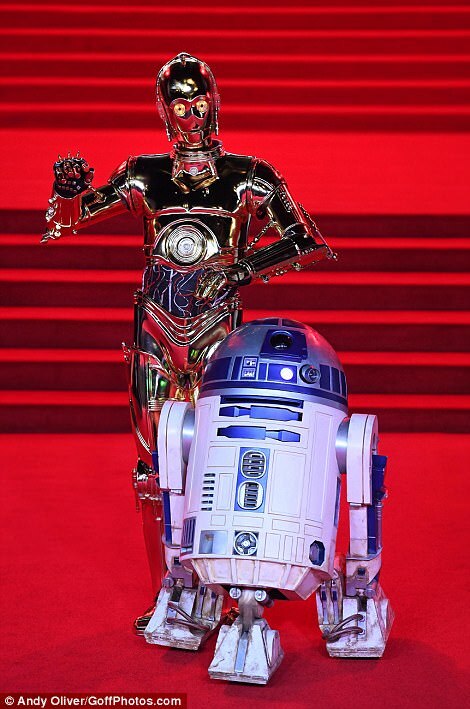 As the Star Wars behemoth lumbers on, cynics might be forgiven for raising an eyebrow at the number of sequels, prequels and spin-offs that continue to make their way here from a galaxy far, far away. Or not so far, actually. This film, the ninth (and in my view the best by a distance) since George Lucas’s original movie in 1977, was shot mostly in the British Isles. 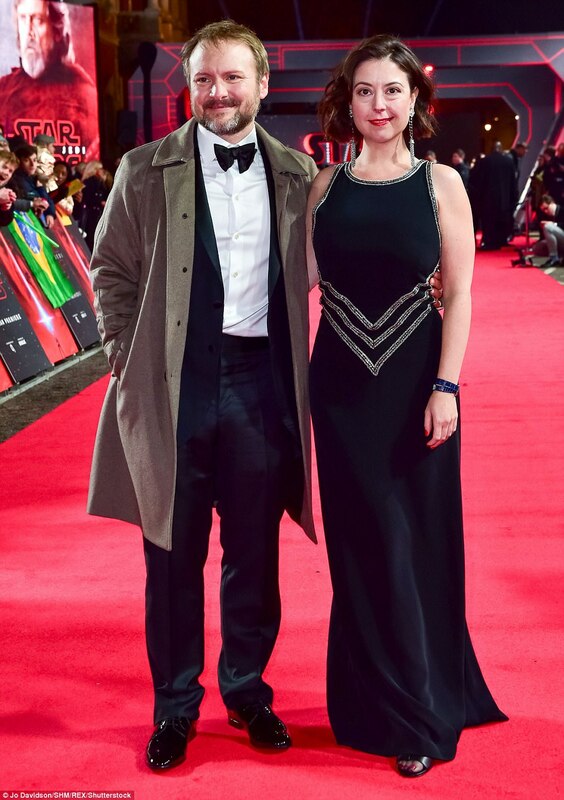 It is the product of some remarkable technical wizardry at Pinewood Studios – as well as great vision from its American writer-director Rian Johnson. 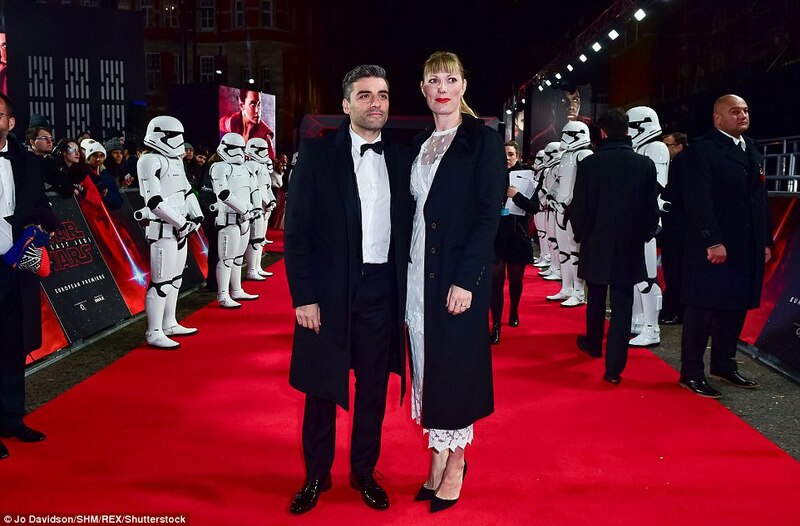 Admittedly, it takes a very long time to get from its exhilarating start to its poignant sign-off, a dedication to “our princess”, the late Carrie Fisher, who died after filming had been completed. Stars Wars: The Last Jedi lasts fully two and a half hours. There were moments towards the end when I felt like one of those poor Cubans listening to Fidel Castro at the height of his oratorical vigour … just as you’re planning your route to the exit, it lurches into yet another new lease of life. But my goodness, how it rewards the audience’s staying power.